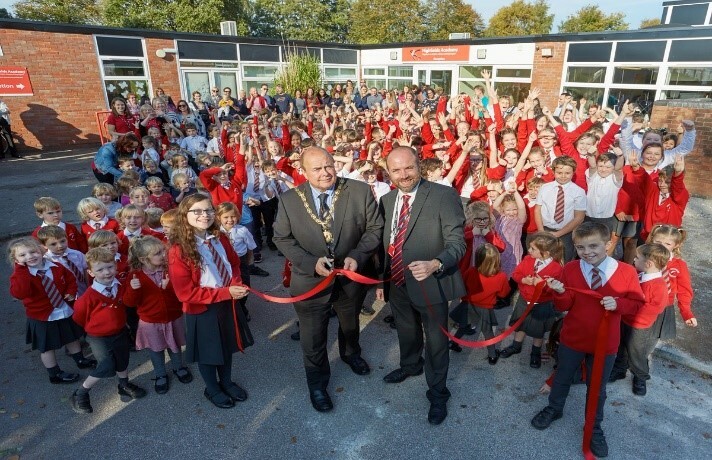 Highfield had a complete make over with major internal alterations forming new teaching areas and new pedestrian areas. New LED lighting with intelligent control fitted throughout. New General Power, Data and Telecoms installation including relocation of existing data cabinet. L1 fire detection System fitted throughout and temp system installed during works to nursery area. Access control systems and intruder alarm. Air conditioning and heating and ventilation systems. Bonding Earthing & Testing. Very tight programme for the quantity of works carried out during the Summer holidays. Maintaining supplies and fire cover to the attached nursey that operated throughout the works. We delivered an energy efficient electrical fit out through the introduction of LED lighting and heat recovery heating that brings reduced electricity bills along with a longer maintenance free life span. The project was delivered to the client’s brief on time and of course on budget. The installation was fully tested with NICEIC test certificates supplied as standard along with As Fitted drawings and all relevant maintenance schedules and data sheets in the Operational manuals issued.